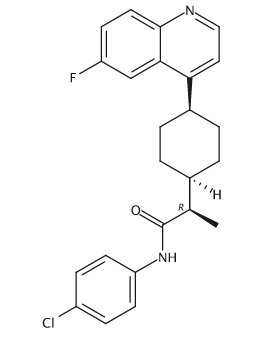 BMS-986205 is a potent and selective, orally active IDO1 inhibitor with potential immunomodulating and antineoplastic activities. BMS-986205 specifically targets and binds to IDO1, a cytosolic enzyme responsible for the oxidation of the amino acid tryptophan into the immunosuppressive metabolite kynurenine. By inhibiting IDO1 and decreasing kynurenine in tumor cells, BMS-986205 restores and promotes the proliferation and activation of various immune cells, including dendritic cells (DCs), natural killer (NK) cells, and T lymphocytes, and causes a reduction in tumor-associated regulatory T cells (Tregs).